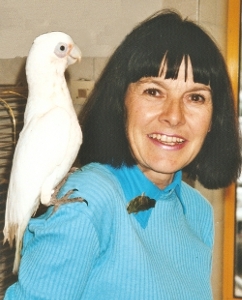 British parrot behaviorist, author of numerous books on parrots, journalist of parrot magazines Bird Keeper & Cage and Aviary Birds, bird trainer for film and stage work, a member of the British Parrot Society and several bird breeders' clubs. Owner of two macaws: Green-winged macaw and Blue-and-Gold macaw. Her parrots often performed on TV and the Blue-and-Gold macaw named Max played in the movie "For your eyes only" (1983) of James Bond series and in the "Pirates of the Caribbean". Famous theatre, movie and TV actress and film publicist. Played in many films and TV series. Owner of an African Grey Parrot. 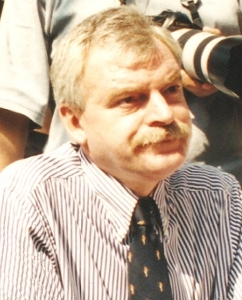 Publicist, editor-in-chief of the "Wprost" weekly magazin and later president of the Publishing-Advertising Agency "Wprost"; Member of Parliament of the 10th term. Owner of an African Grey Parrot. Ornitologist, veterinary surgeon, initiator and chief of the Bird Sanctuary in the Warsaw ZOO. 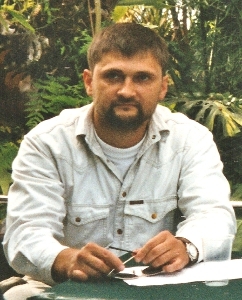 Head of the Warsaw ZOO since 2009. 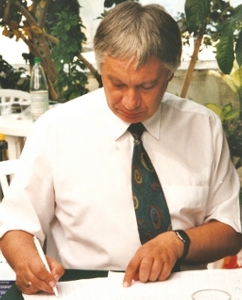 Author and translator of numerous publications in the field of ornitology. Co-founder and honorary member of the Warsaw Society for Birds Protection. 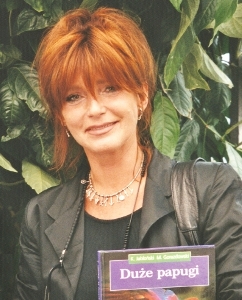 Movie and TV scriptwriter (among others Polish film and series: "Wielki Szu", "Piłkarski poker", "Złotopolscy"), writer, social activist and an academic lecturer. 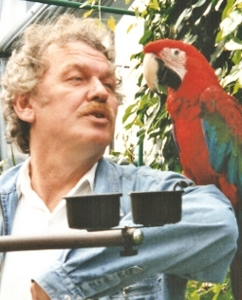 Owner of a Green-winged macaw.